Bring out the best in your website with search engine optimization, leading to better user experience and higher positioning in search engines like Google. Target qualified searchers with custom pay per click advertising on search engines and search networks. Stand out in localized searches and connect with people looking for businesses like yours. Manage your online reputation and interact with your customers. Use Facebook, Twitter, Pinterest, Yelp, Google Plus (and more!) to share news important to your business and interact directly with fans. 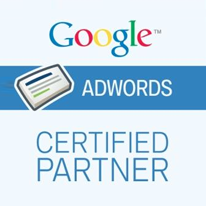 Certified in Google Adwords and Google Analytics. Evolving Interactive is proud to be one of the leading Chicago SEO agencies. Located in Chicago’s West Loop, Evolving Interactive works with businesses throughout the Chicagoland area as well as small and medium businesses nationwide. Stop by today to meet our team. We prepare detailed reports weekly or monthly to show the progress of your SEO and PPC campaigns. What are your marketing goals? We help you achieve them through custom campaigns designed by expert internet marketing analysts. We put you in the best possible position to be found in search engines and across the web. Whether you are interested in the lasting benefits of SEO, or the immediate exposure of Paid Search, or the 1-2 punch of both; Evolving Interactive puts together a custom campaign to exceed your marketing goals. Connect with expert SEO analysts for guidance and SEO best practices for your website and managing your online presence. Stay competitive in your industry with expert analysis on your biggest online and offline competitors. Receive in-depth analytics about your SEO and PPC campaigns from an expert analyst on a weekly, monthly or as needed basis. Enhance every local signal with custom strategies for your business. Target specific areas and become the leader in your industry in your community. We offer social media consultation or content creation to help you meet, connect, and stay in touch with your ever expanding customer base. An active presence on social media and review sites helps your customers feel connected to your business. We can help.